We stumbled across a bit of Colorado Springs history today. At the top of Cheyenne Mountain North, we found what remains of the Cheyenne Lodge. Back at home, I learned that it was a hotel and restaurant built by Spencer Penrose in 1925, along with a road for cars to reach it. It felt kind of eerie up there exploring the remnants of the Lodge. This site has some old postcard images. The Pikes Peak Library posted this promotional video from 1936. I wonder what it was like to stay there. 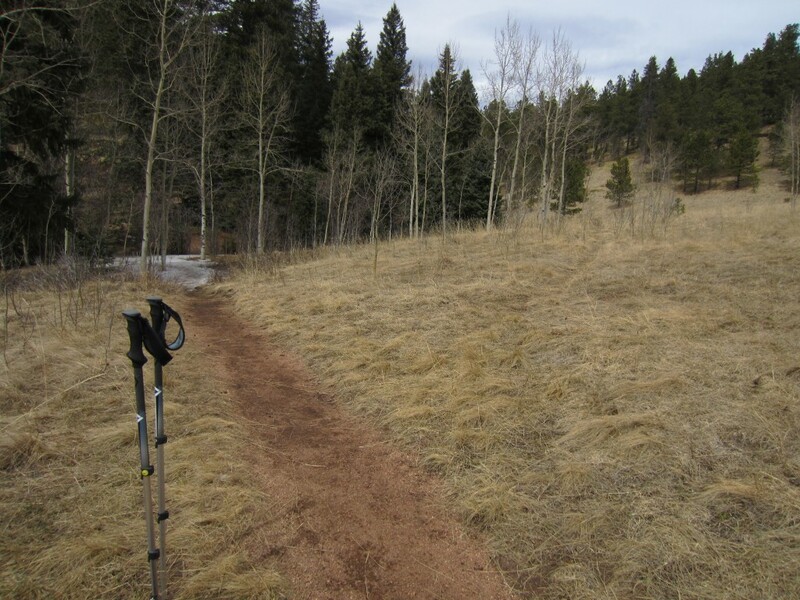 The MacNeill trail is a fine hiking trail. I bet it was named after Charles MacNeill, a partner of Spencer Penrose in the mining industry. 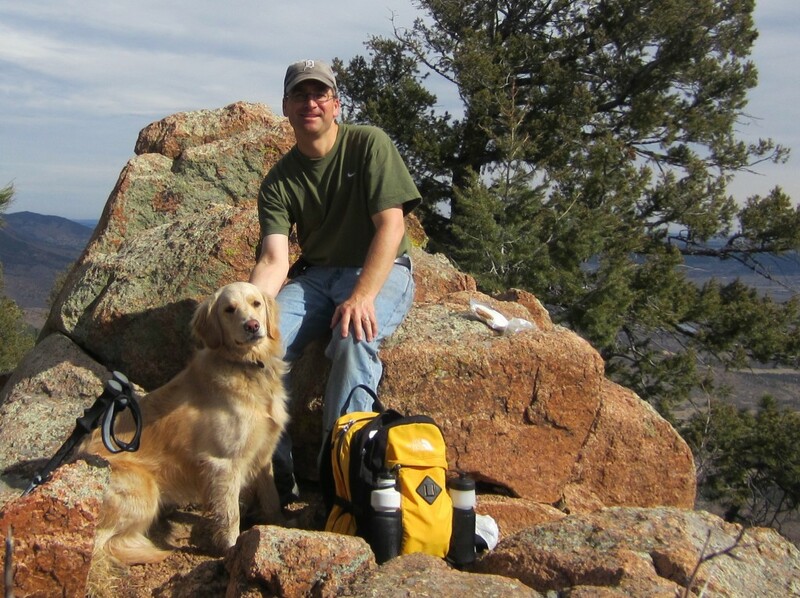 I would like to hike the trail again sometime and take the Swisher trail up to the Cheyenne Mountain summit proper. Michelle discovered this nearby park as a great place to walk the dog. The park is tucked away in a neighborhood and is not well-known, so it has relatively few visitors. A stream runs through the park, which Sammy really enjoys. 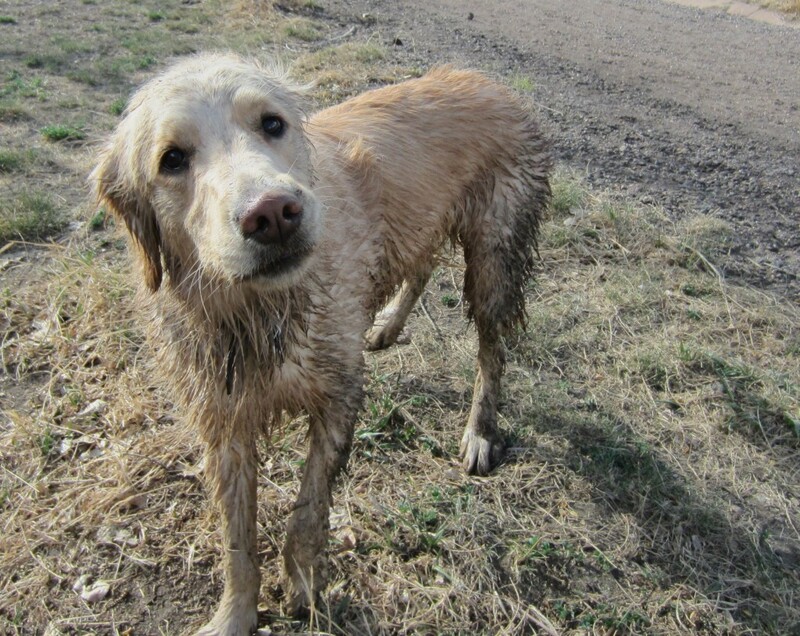 The only disadvantage is that a visit to Biedleman often means a dog-bath when we get home, because Sammy gets riled up after playing in water and loves to roll in the dirt. The trailhead for Stanley Canyon is on the grounds of the U.S. Air Force Academy. Before heading there, one should check the security status of the Academy to determine if the trailhead is accessible. The first hour of this hike was a strenuous uphill in the canyon. The rest was relatively easy miles. We made a loop of the canyon (trail 707), trail 721, forest road 307, and then back down trail 707. We made a side trip to the Academy overlook, and made an unplanned detour through Goat Camp. A couple of weeks ago I found some waterproof hiking shoes that fit comfortably, and today they passed the test. My left foot slipped into a stream, about 4 inches deep, and my foot stayed dry! Another gear-related point is that I am now a convert to trekking poles. I used to doubt that they would be worth the additional weight. Today, I used poles and they worked out really well. On the steep downhill sections they did help reduce stress on my knees. On all kinds of terrain, the poles provided additional stability and kept me from falling a few times. My old Boy Scout compass cracked and developed a leak during this hike. The liquid inside the compass was kind of oily. Lucky for me, it worked this one last time, and helped me find the trail after we took a wrong turn into Goat Camp. According to my map, at this spot trail 707 forks to the right and the main trail becomes trail 721.